Hometruths hits up Melbourne Open House for this week’s edition of your local property zine! As the marketing guru’s at Melbourne Open House cleverly promoted- it was a two day love-in with the city. Hometruths will cover the hidden assets of Federation Square (love it or loathe it, this baby’s full of architectual sneaky treats) and revels in the butter-milk creaminess of the newly refurbished Myer Mural Hall. It’s all glamma and it features coffee too! 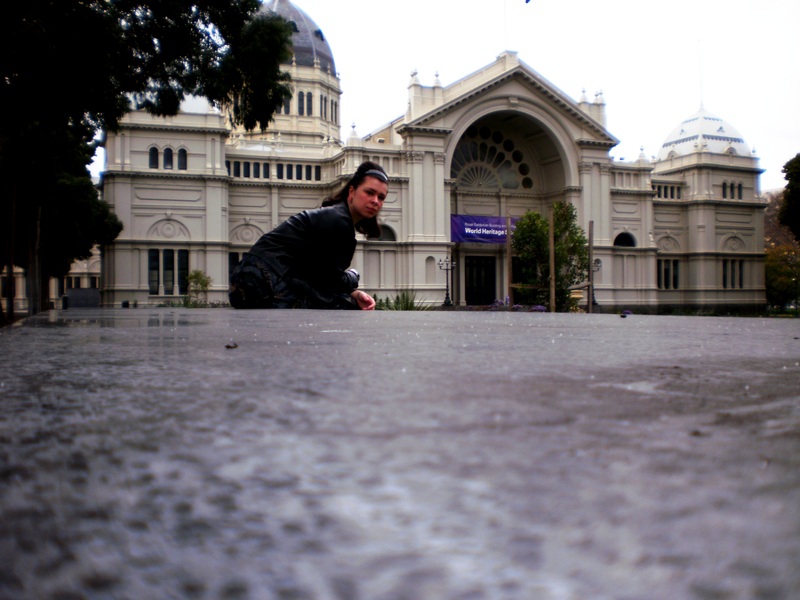 Your editrix outside Carlton’s world heritage listed Royal Exhibition Building. Vibe: An overcast Melbourne day, grey but not too cold – indicative of the imminent spring to come! Hometruths chose to keep it ladylike in a bow-waisted party dress. You’ve got to dress up on a day out in Melbourne, just to show that gorgeous city how special it is to you. Wearing: Leona Edmiston Cami-Collar dress, Laura Ashley leather jacket, Ferragamo ruby slippers. I walked up Exhibition Street and immediately became excited when I saw red banners (inset, above) flapping in front of the Princess Theatre, along with queues of other architecture tragics waitings to discover new facts and see ‘backstage’ to the city of Melbourne. When I arrived at Federation Square I joined a small group of five others (to attend the limited Federation Square tours you were picked by a ballot process online). Our lovely guide Fiona got started immediately after acknowledging the Kulin nation and the Wurundjeri people who formerly made their camps by the river at Birrarung Marr. 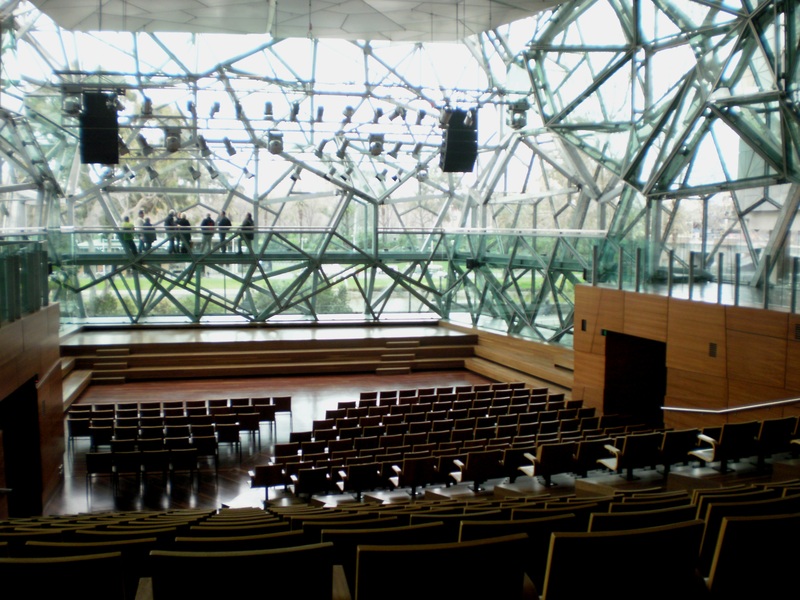 Here are some Federation Square factoids she imparted to us during the tour. Did you know that Melbourne’s first morgue was on the site that Fed. Square now occupies? 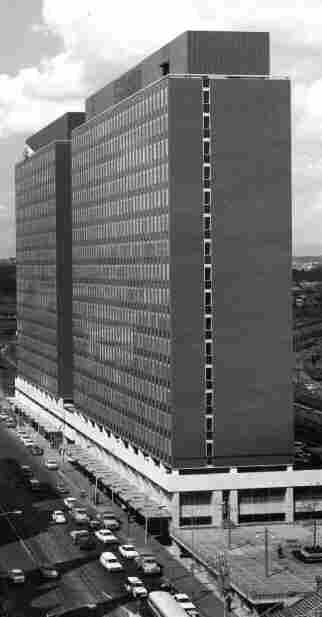 It was eventually developed into the Gas & Fuel buildings in 1967 (photo below). 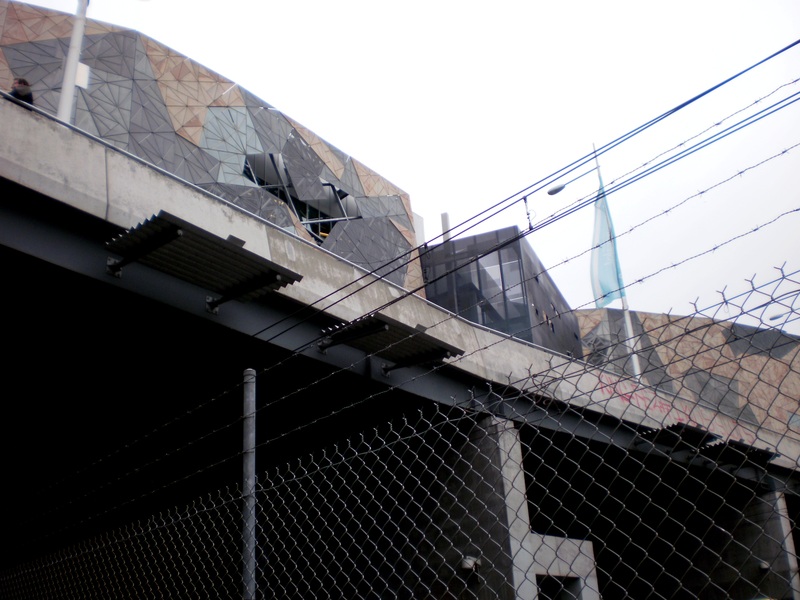 Federation Square is built directly on top of the train lines into Flinders Street Station. It wasn’t a project which was delivered on time, as they couldn’t interrupt public transport during the build. Thus, most of the construction was completed at night when train services ceased. Federation Square’s redevelopment was tendered in a competition format in 1997. National or international, various designers could put forward their plans for the new city centre. Over 177 entries were submitted, with LAB architects the final winners in association with Bates Smart. Federation Square cost 450 million to build and opened in 2002 by then-Premier Steve Bracks. The smaller buildings dotted around the periphery of Federation Square are called ‘shards’ – that totally appealed to the Dark Crystal fan in me. There’s more Henson Studio shenanigans in Fed Square too. Under Federation Square there is a unique passive heating and cooling system called The Labyrinth. I made a brief David Bowie joke to tourguide Fiona, she didn’t seem into my humor however. Dance magic dance. 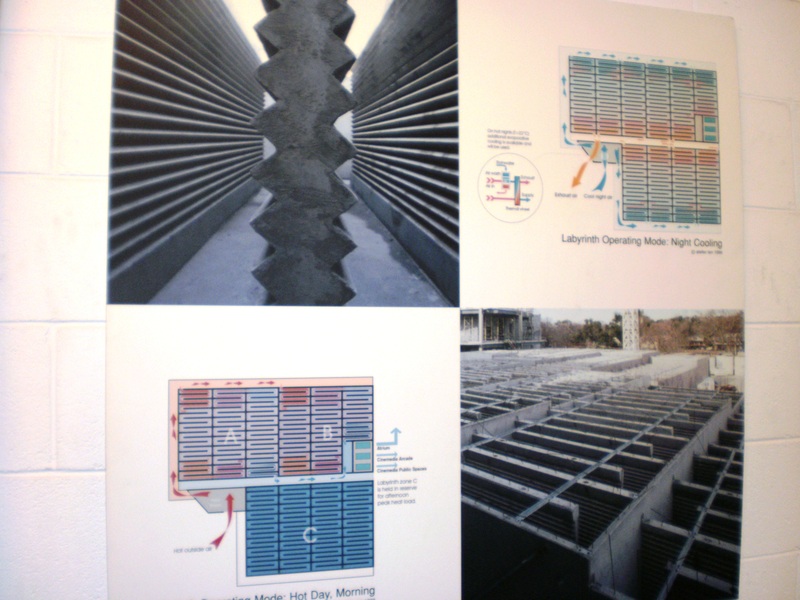 The Labyrinth environment system is just as it sounds -a system of concrete corrugated channels which are hidden underneath Fed Square, pulling in cold air and capable of adjusting the temperature 12 degrees above or below external air. Looks nifty, eh? Did you know that 72 thousand triangles of various size made of materials including sandstone, zinc and glass make up Fed Square. A computer system was designed specifically to organise how the triangles would fit together most efficiently. 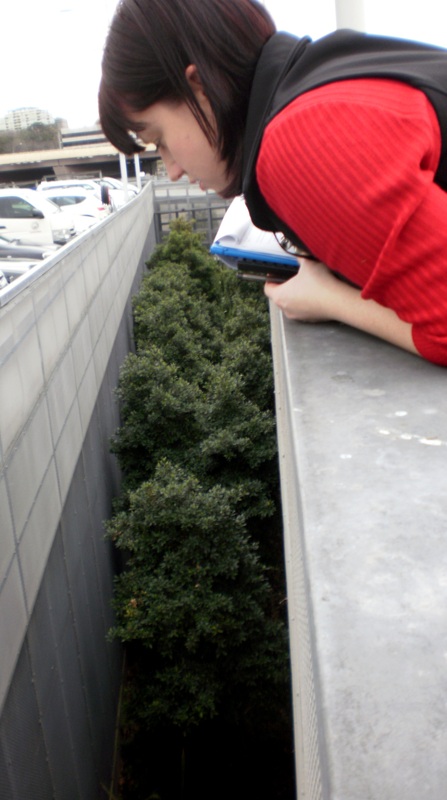 Fiona also showed us the raingarden which is located in the vast Federation square parking lot. The rainwater runs off the large concrete surfaces into the garden (inset below with Fiona) which ‘washes’ the pollution out before it runs into the Yarra. Nifty, huh? 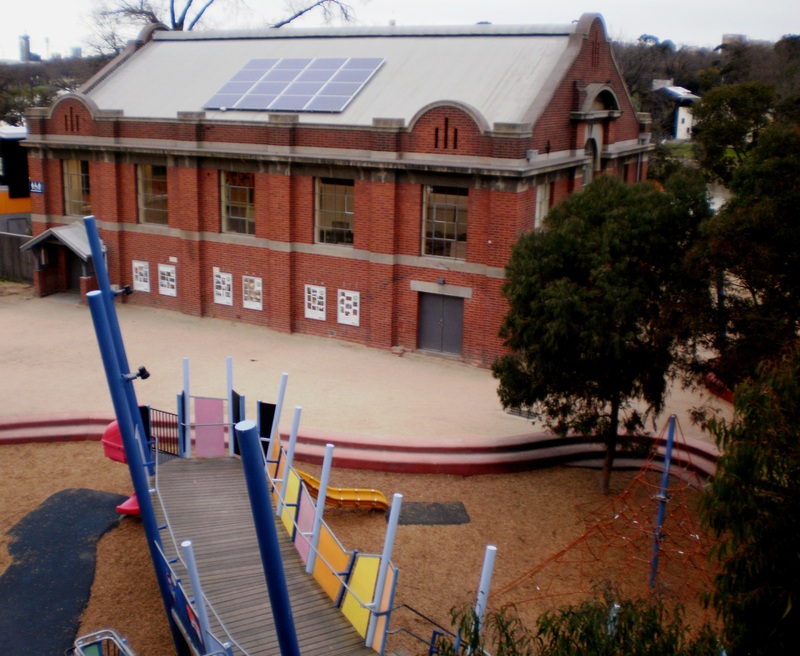 When you’re looking out from the Fed Square carpark over ther river, you’ll see the ‘Federation Bells’ which chime every hour, as well as ‘Art Play’ (below) which is a children’s arts centre located in the old swimming hall. Federation Square has 8 million visitors a year, and houses the largest indigenous art collection in the world inside the Ian Potter Centre onsite. Federation Square also has a mobility centre where disabled visitors to the city can hire scooters and wheelchairs for their use. Fiona also took us to the loading zone via the old Batman Avenue, where all the deliveries to Fed Square are made (there are more than 200 of these a day). This is just adjacent to the train lines, which architects have provided ‘vibration protection’ against for sound a movement. There are 4500 spring and rubber matting sheets underneath Fed Square which takes in the sound and noise from the train lines. Prior to Fed Square being built there were 15 train lines going to Flinders Street Station – now there are only 8. Maybe this is the reason for our public transport congestion? View looking from the trainline level up at Fed Square. 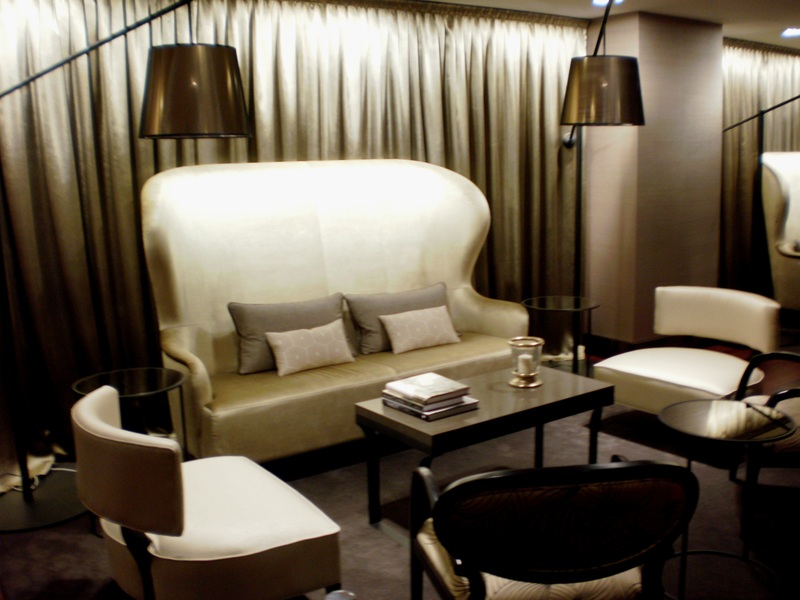 Fiona also took us to the Green Room beneath the BMW Edge theatre (photo inset, below). The Green Room was actually quite dull, no bells and whistles and lots of skidmarks on the walls. Not as glamorous as I’d have thought! There was even a sign warning performers to do their own dishes. The highlight of the day was being shown a secret gallery called ‘Slot 9’ which is a tiny industrial gap between two of the train lines underneath Fed Square. It has some rubberised supports to minimise vibration, but is not acoustically padded. 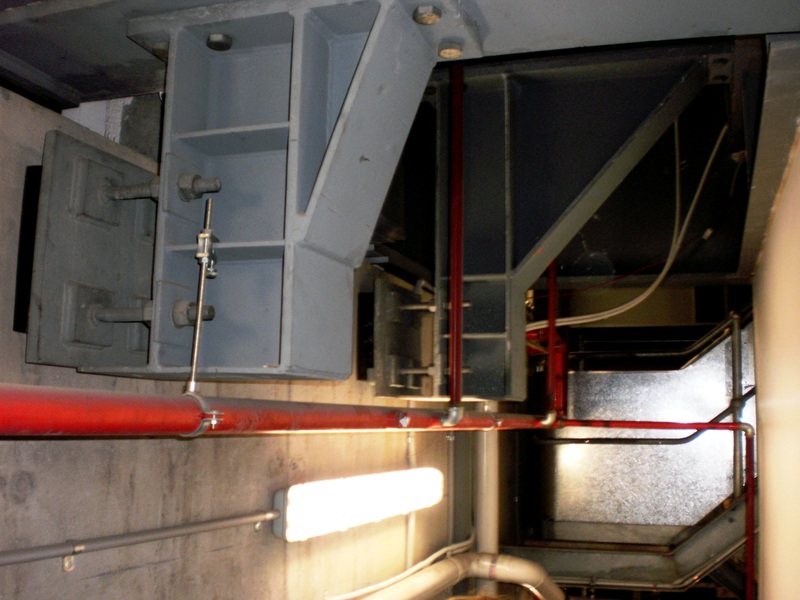 It has a private lift access and is suitable for gallery openings etc with a really industrial vibe. I liked it, it was all a bit ‘Dr Who’. 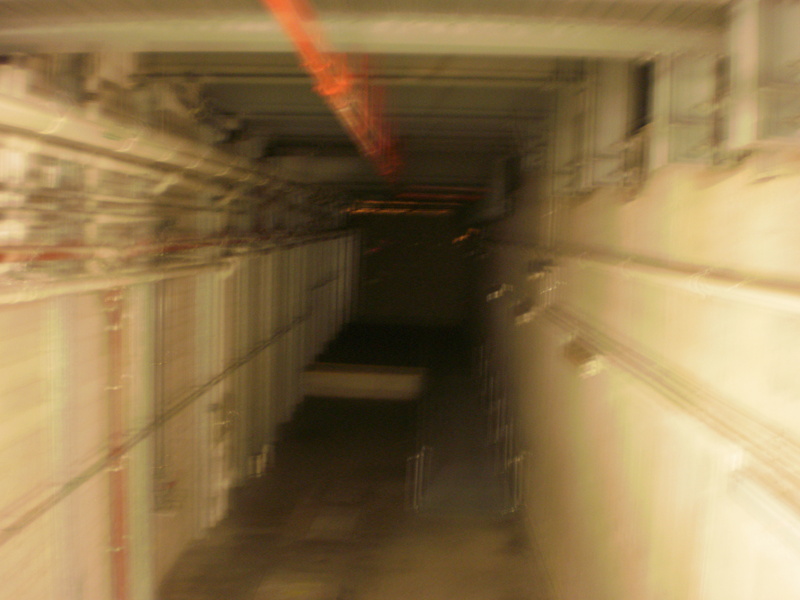 Inset: Industrial spookiness in the Slot 9 space under Fed Square. After I finished up at Federation Square’s Atrium, I decided to go along to the Russell Place Substation (power grids etc) to see something else subterranean and unusual. Unfortunately there was a huge queue (which is testament to Melbournian’s love of adventure) and I was wearing a dress – you weren’t allowed through it you hadn’t trousers on. 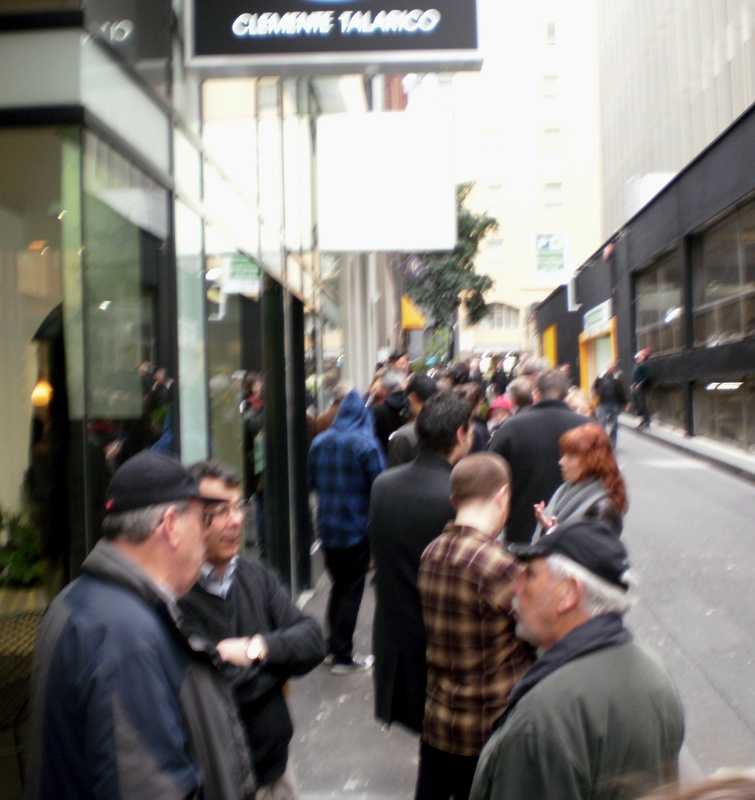 Here’s a photo of the enthused queue on Russell Place. What to do oh what to do? 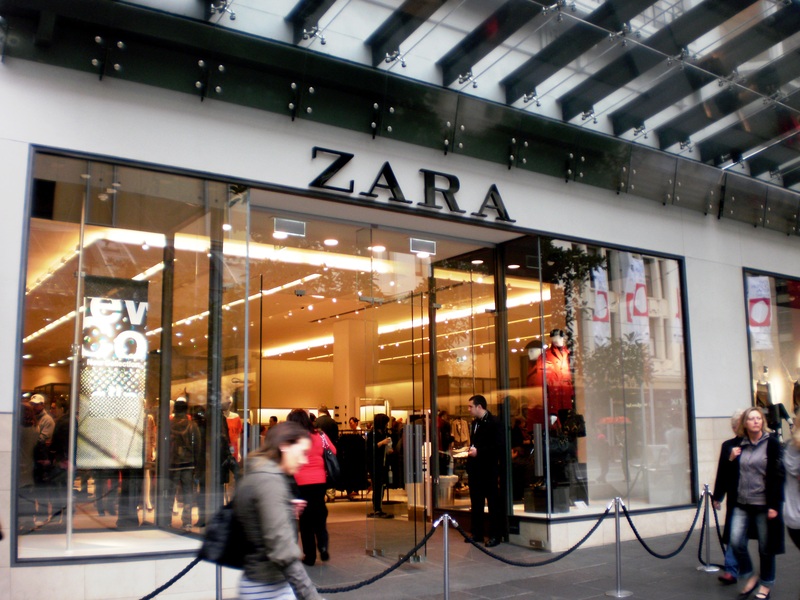 Rejected from a Melbourne Open House event due to wardrobe, there was nothing for Hometruths to do but go and see a new edifice of Melbourne high street style – Zara. It had sharply-suited security guards out the front, and a whole lot of colour blocking in jewel tones of amethyst, emerald and sapphire blue. Nice, but probably not worth the queues of several weeks ago. The Sensory Lab has these cute little tables for one with high stools, tucked into the wall with a privacy nook, lamp and touch-up mirror. Very sweet. Can you see your humble author? 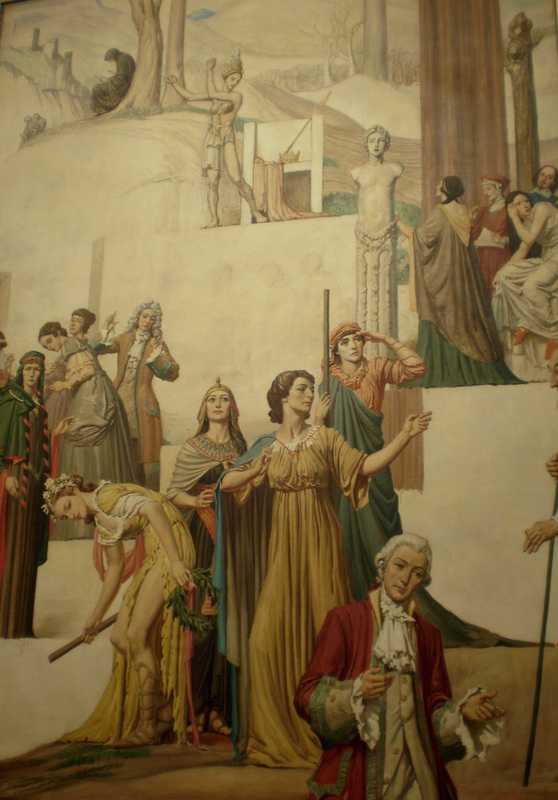 I then ventured to the newly-renovated Myer Mural Hall, on the penultimate floor of the freshly designed department store. 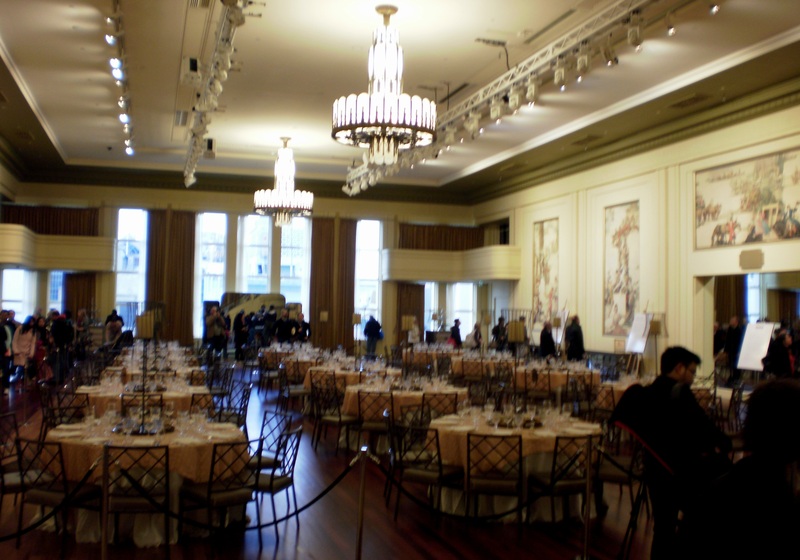 I’d been before pre-renovation to see The Archibalds there – but the repaint and Deco-faithful fittings (including smoky mirrors and table settings) were very beautiful and impressive. You walk through a casual drinks area (perfect for product launches, etc) designed in a Philippe Starck style (inset below) before entering the buttermilk yellow Mural Hall to admire the Napier Waller paintings. 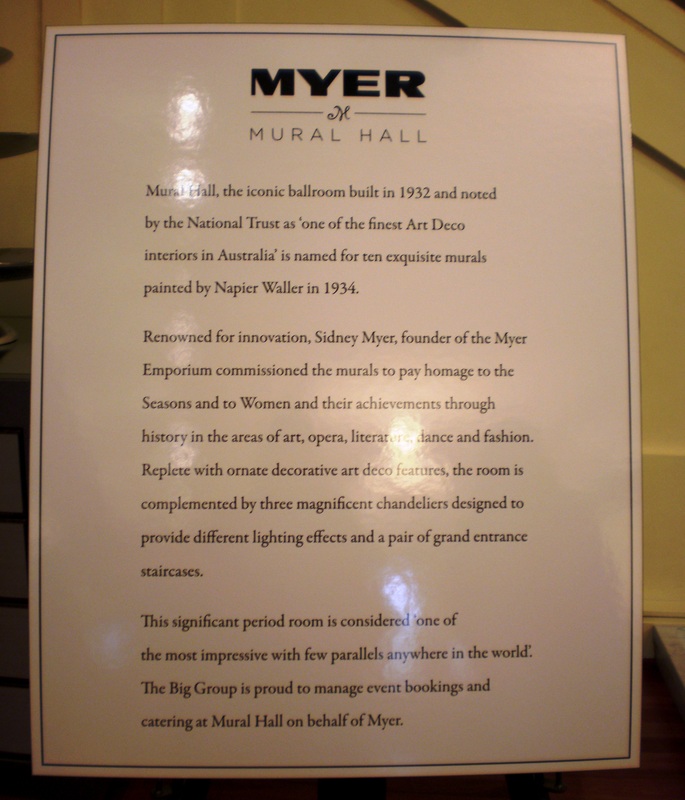 I’m pleased to hear that Myer will also start holding formal afternoon teas in the Mural Hall, with a glass of sparkling. Very retro and right on-target for the vintage-loving Melbourne crowd of beautiful young (and not-so-young) things. An explanation of the Napier Waller images, focussed on paying homage to female achievement. Fitting really, as department stores are made specifically with the female customer in mind. The business plan hasn’t changed. Gorgeous, right? These are characters from theatre. I spy Madame Butterfly on the left. 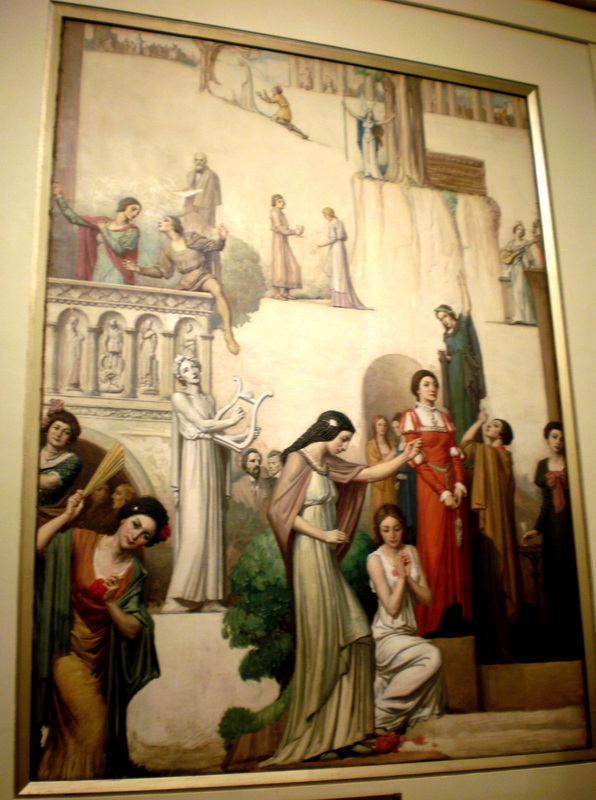 Women from classical history…. not sure about the fella in the right bottom hand corner. Any suggestions? 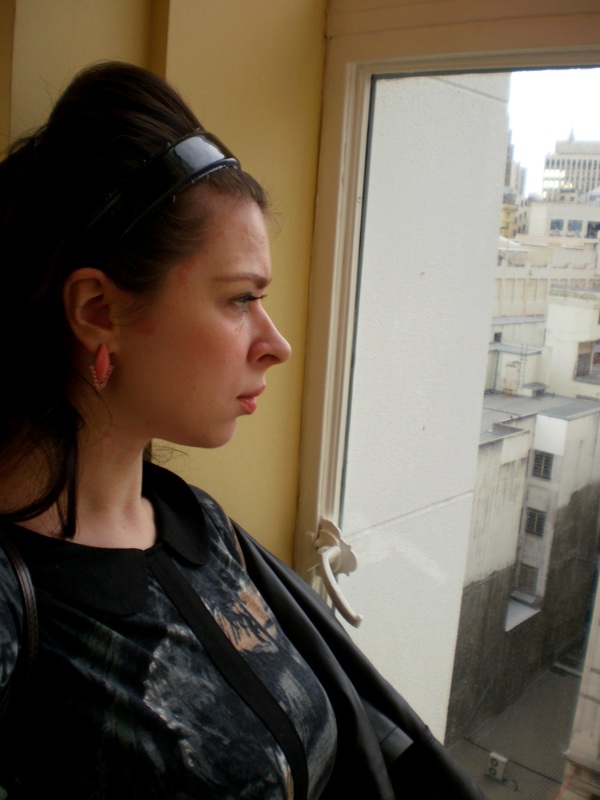 Hiding behind a mirror and looking out through the picture windows onto Bourke Street. 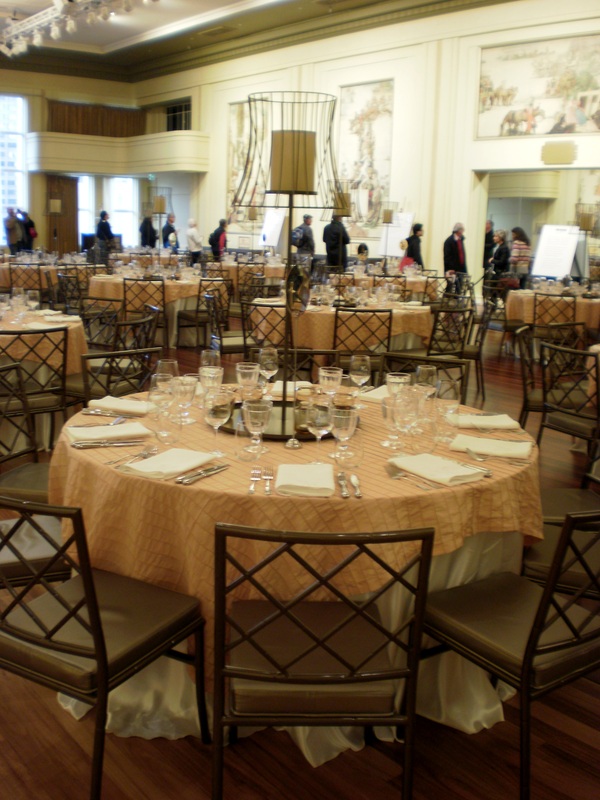 Close-up on the table-settings in the Myer Mural Hall. Chic and yet old-world at the same time. Hometruths hope that you enjoyed this mildly hotch-potchy version of our zine! See you in a couple of weeks for a more conventional version, covering off on Melbourne’s best auctions and taking the temperature of the property market.